Introduction: In recent years, c.500 icelandic lava caves have been discovered, explored and mapped. more than 200 of these have produced some form of evidence for human occupation or activities, dating from the time of iceland’s initial settlement to the present day. While many caves appear to have been used as animal sheds, archaeological remains in others suggest that these were used for human occupation over longer or shorter periods of time. Hidden entrances, fireplaces, sleeping alcoves and middens suggest that some may have been temporary hide-outs for outlaws. A smaller number have internal fortifications or other structures that suggest larger, more permanent or more contested occupations. Only two such caves had received some archaeological attention prior to the investigations discussed in this paper. 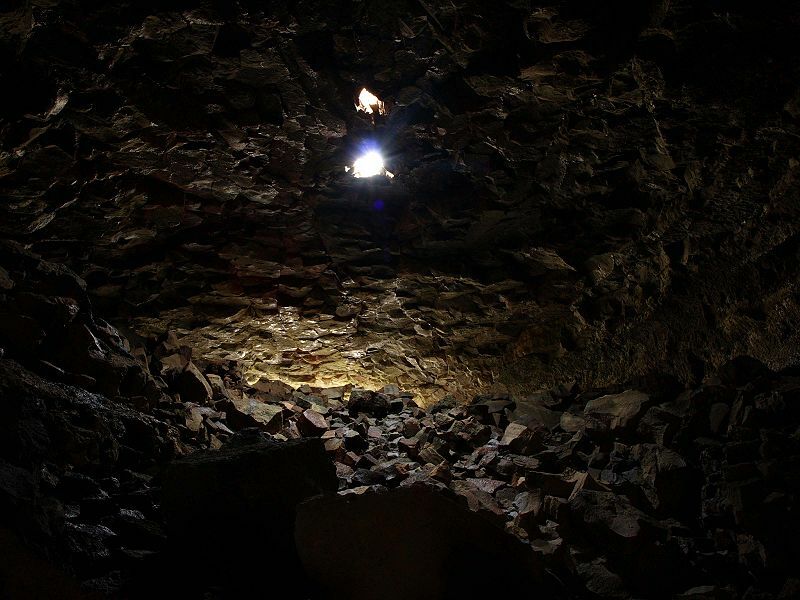 Gísli Gestsson’s pioneering cave research at Hallmundarhellir, in the inner reaches of the western icelandic Hallmundarhraun lava flow, demonstrated the potential for intact and unusual archaeological deposits to exist in the forbidding subterranean environments of iceland’s lava tubes. At Hallmundarhellir, Gestsson recorded dividing walls, partitions, hearths and a small assemblage of artefacts and bones hidden behind a massive wall that blocked the mouth of this sand-choked lava cave. Further west in the Hallmundarhraun lava field, near its terminal end, investigations in the Víðgelmir cave in 1993 documented ephemeral features and a small assemblage of artefacts and faunal remains suggestive of a short visit by a small number of occupants intent on remaining hidden. These investigations, presented at the fourteenth Viking Congress in 2001, also provided strong evidence that charcoal from the settlement period, apparently gathered from very old standing trees or well-preserved logs and branches, could be up to 200 years older than the actual site they were taken from, providing an explanation for mysteriously ‘old dates’ from the Settlement period of iceland.